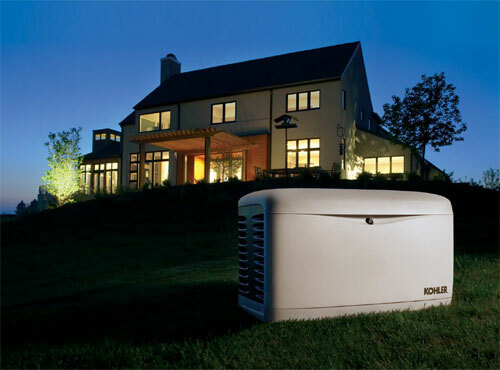 A generator can make the difference between living comfortably and being stuck in the dark. There are many choices for generator back up power systems, so it is important to ensure you purchase the one that is best for your business or home. Is oxygen or any type of life support being used in the home? Do we have any prescriptions that need to stay refrigerated? How often does my power go out? How long do my power outages last on average? Am I comfortable manually setting up and refueling my generator? Do I have natural gas in my home? How do I decide which Generator is right for me? This is one of the most important questions you can ask yourself when you are installing a Generator. Generators come in different sizes. You can have anything from a small 10 kW system, which will put out about 42 amps, to a 38 kW generator, which will put out about 153 amps! To put things into perspective, on 42 amps you will be able to run your basic appliances: your refrigerator will be able to stay on, but you won’t be able to use your electric stove or oven. You won’t be able to have your air conditioner running but you will be able to use some lights and your television or computer. On a 38 kW generator, you will be able to run more things at one time. You would be able to easily run your air conditioner, as well as, your refrigerator, your lights, your television, and still have some power left over. Most homes have a main electrical service (coming from PEPCO or Dominion) that is typically between 100 amps to 200 amps (some even go as high as 400!). With every generator installation application, surge protection should also be a part of your installation plan. During power outages and running on generator power, electrical surge protection is recommended by most manufacturers. If you would like to schedule an appointment with our team, please contact us at (703) 922-0303.